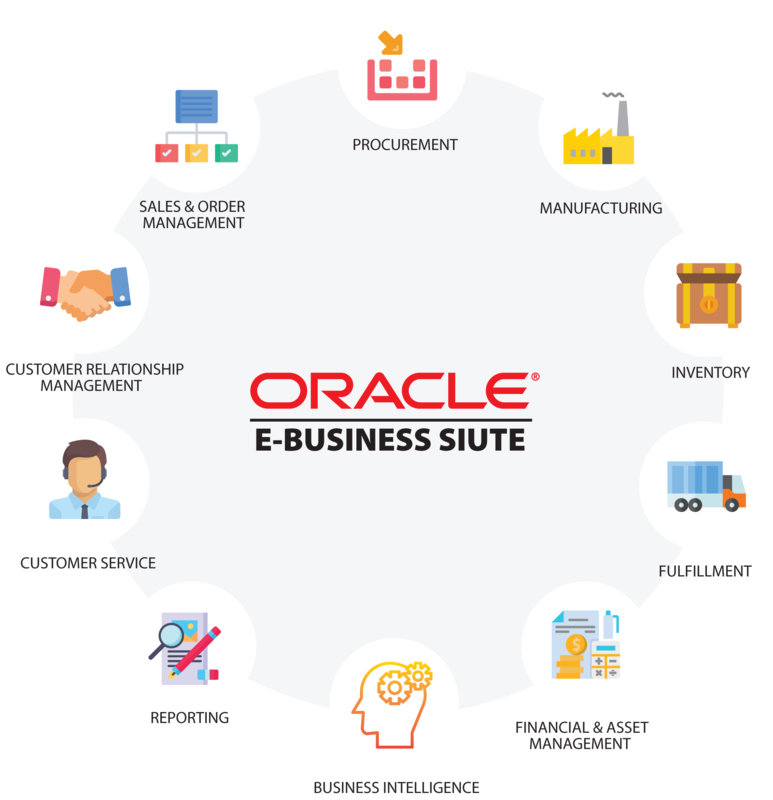 Oracle E-Business Suite is a globally integrated enterprise resource planning (ERP) solution and one of the premium offerings of Oracle Corporation, one of the leaders in database management systems. The E-Business Suite can be summed up in one word – comprehensive. It comprises hundreds of industry-spanning applications and capabilities that include ERP, CRM, HR, finance, service management, procurement, supply chain, project management, and more. iGUID offers an extensive range of services across Oracle E-Business Suite that encompasses design, development, EBS implementation, EBS upgrades, migration BS upgrades, migration, integration, global roll-outs, and support and maintenance. The Oracle E-Business Suite integrates your business, capturing the information needed to provide a complete view of what’s going on in your business. Oracle’s suite is functionally complete with over 100 integrated product modules for every aspect of your business, including customer relationship management, finance, human resources, professional services automation, supply chain management, enterprise asset management, and project management. To enable rapid automation of key E-Business flows inherent in the E-Business Suite, Oracle provides fast-forward Flows. These fixed-price, rapid-time services enable you to reap the benefits of Oracle’s applications in record time by automating critical business processes within your enterprise and providing end-to-end integration.